By spending a bit more cash, shower columns can deliver some extra splash. 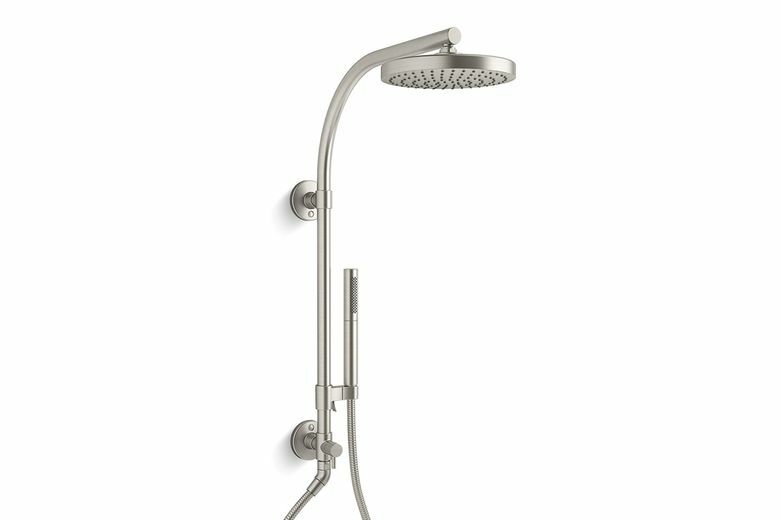 Q: I plan to contact a plumber to upgrade our shower with a hand shower and sliding wall mount to change the shower height. What cool features can we add to this project without making it a complicated install? A: With plumbing jobs, always try to get the most bang for your buck. Sometimes that includes spending extra money for materials, if the overall labor cost stays close to the original labor price. The good news: New tub and shower fixtures called shower columns can do just that. A shower column is a chrome piping setup that quickly installs vertically on the inside shower wall and easily connects to the existing plumbing. Aside from the vertical sliding personal shower, shower columns can also include a large rain-style head and a built-in diverter valve. By spending extra plumbing material cash, shower columns can deliver some extra shower splash.